Kirk and Thad are named "best lawyers" in Dallas for 2016! - KELLY, DURHAM & PITTARD, L.L.P. 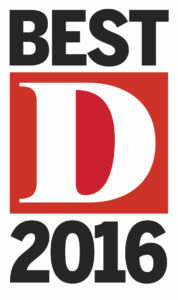 Kirk and Thad are named “best lawyers” in Dallas for 2016! Congratulations to Kirk Pittard and Thad Spalding, who were named “Best Lawyers” in the Appellate category in the May 2016 issue of D Magazine. This is Kirk’s sixth time to be named to the list, and Thad’s fifth. You can see the entire list of Dallas’s “best lawyers” in the Appellate category here.